Well I'm back with my second wallpaper after a six months wallers block. This time I told myself to try something else besides my celestial skillz and pulled out some 3d abstractness skillz (which aren't good as you can see) for thi wallpaper. Well it is bright, prolly too bright for most ppl but not for me. Intentionally this should actually be a wall only for me :3 I really like the way it is now. Well took me little time to do the renders, the only problems i had was the color of it all. at first i had it bluebluegreen =/ then it became purplish pinkish now its bluedarkbluewhite since that's how i remember seeing the cyberworld motoko surfed around in. also i wrote ghost in the shell in kanji since that looks way better than roman letters, dont you ppl think so too? 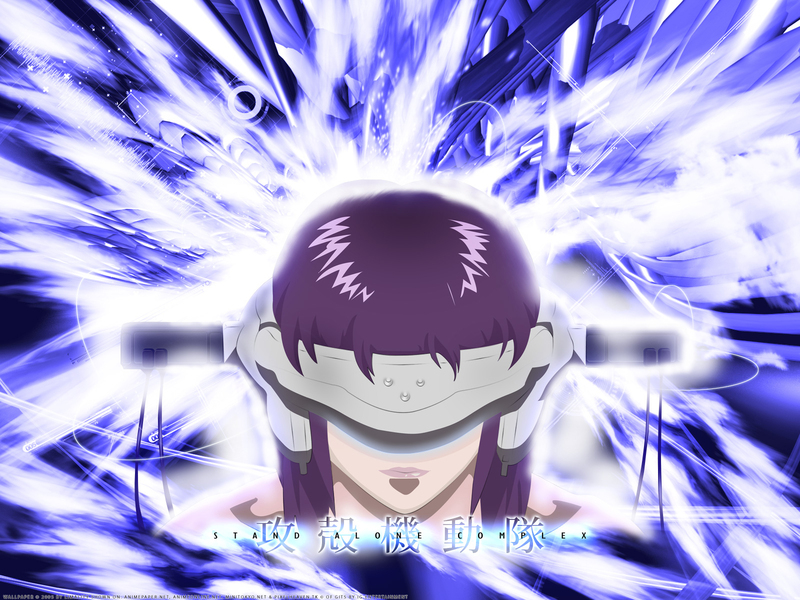 Also i vectored motoko since the original scan was too grainy to just "repair" it ! neways, for those who can bear with the brightness of this wall, enjoy it! The abstract is fine, but why is she glowing at the edges. It feels like she lost quality .__. This wallpaper isn't doing good because of the fugly thumb nail! But this wallpaper is awesome Lima. I love it, all of the abstract is perfect blending with the character. Nice vector also! *mahirap ang paggawa ng wall na yan... kaya ill give u 8 / 10. Thanks for the upload. Appreciated. Keep it up.